Leeds have been handed a significant boost in their promotion chase with the news Kemar Roofe could be fit before the end of the season. The 14-goal striker suffered an injury in the match against Swansea City last week, rupturing one of the ligaments in his legs. It seemed as though the striker could miss the rest of the season, although Leeds were always optimistic that he could return before the campaign was out. And Roofe has now confirmed that he is hopeful of playing in the last six or seven games of the season. Speaking to Radio X on Thursday morning, the striker said: ‘I suffered damage to my lateral ligament and I will be out for six to eight weeks. When asked if he’d play again this season, Roofe added, ‘Yes, I will be back for the final six or seven games, maybe a bit sooner. It was always going to be a lot to ask Patrick Bamford to play every game between now and the end of the season, especially given his own record with injuries this campaign. He has suffered two ligament issues himself. He is also not entirely fit after coming straight back into the first-team rather than spending any time with the Under 23s. Now he will know that Roofe will be able to take some of the pressure off him, presumably starting with the game against Sheffield Wednesday on April 13. That said, Leeds need to get to that point still in the promotion race. They face crucial clashes against Bolton on Saturday and then an away trip to QPR over the next week. They still have a game in-hand over their closest promotion rivals and can go back top with a win in both games. Kieran Trippier has revealed the role Sean Dyche had in improving his career. The 28-year-old right-back played under Dyche at Turf Moor, where Spurs play this weekend. Trippier then moved onto Spurs, where he has become one of the most consistent defenders in the country. He also starred at the World Cup, helping England to a semi-final against Croatia. They lost that game despite Trippier scoring the opening goal of the game from a free-kick. And Trippier has now admitted that the Burnley boss helped him limit his drinking — to the benefit of his career. He told the Burnley Express: ‘He helped me a lot. I was still going out when I was younger – drinking – and I wasn’t looking after myself properly. He came in and sorted it all out. ‘We were close when I was at Burnley and I would love to play for him again one day. We usually talk once every two weeks, just to keep each other updated on things. Dyche is a highly regarded manager within the game and his work with players like Trippier has been clear. So many have come through the door at Turf Moor and left as better players. This is just another example of his man-management ability and why Burnley are lucky to have the gravel-voiced manager in situ. The example also stretches to the likes of Tom Heaton, Nick Pope and other players at Burnley, who have gone from Premier League also-rans to full internationals under Dyche’s watch. When Dean Hoyle first joined Huddersfield Town in 2008, he breathed new life into a club that was on its knees. Drifting around in League One with virtually nothing in the way of saleable assets, stripped of their shares in the stadium, and consistently serving up some of the worst football in living memory. The club reeked of stagnation, apathy and decay, and I dread to think what would have happened to Town were it not for Hoyle’s intervention. Hoyle’s tenure as Chairman has seen the club regain its shares in the stadium, promotion to the Championship, the construction of a new state-of-the-art training facility at Canalside, and in excess of £20 million generated in player sales. And yet – despite all this – there was a real danger that much of this good work would be undone by the increasing sense of apathy and ambivalence felt among Town supporters over the past 12 months or so. Despite consolidating their position in the Championship, Town’s results have been indifferent and their performances even more so. Even more alarmingly attendances are in decline and the much talked about ‘pathways’ scheme – seemingly crucial to the club’s future – has appeared to be struggling. Although it would be harsh to say that outgoing manager, Chris Powell, is solely responsible for this, it is fair to say that his reign as manager has undoubtedly been a contributory factor. Don’t get me wrong, Powell is by no means the worst manager in Town’s history – in fact he’s not even close – however, the style of football his side has served up has been without doubt some of the most dour and frankly boring I have seen in my lifetime. Sure, the performances of the team are incomparable to those of the Wadsworth or Ritchie eras, but never has the football been so frequently unentertaining as it was during Powell’s reign as manager. You would often get the impression that Powell was setting his teams up for a draw, and this resulted in his teams adopting a negative style of football and a lack of genuine attacking intent. Simply put, Powell’s preferred style-of-play was centred around not losing, rather than going for the win. Understandably, this was a policy that allowed Town to be competitive in the majority of his games, but it was ultimately not one that was likely to attract supporters to the John Smith’s Stadium. A string of turgid home performances against mediocre opposition last season really stick in the mind. Home defeats against Rotherham, Fulham, Leeds and Birmingham, as well as draws against Sheffield Wednesday, Wigan and Brighton, were all examples of Town failing to go for the jugular against winnable opposition, and this was in large part due to Powell’s poor tactics and inability to change games when things were not going Town’s way. A prime example of this was Powell’s sheer reluctance to effect games through positive substitutions. It became something of a running joke that Powell wouldn’t make an attacking substitution until it was far, far too late. The most obvious example of this being Powell’s reticence to utilise Joe Lolley until the final 10 minutes of a match. Indeed, the example of Lolley also spoke volumes about Powell’s attitude towards youth players at the club in general. Dean Hoyle has repeatedly reiterated that the development of ‘young players with potential’ is vitally important if Huddersfield Town are to be successful at this level. Despite this, Powell failed to fully integrate any of Town’s up and coming prospects into the first-team fold – Kyle Dempsey, Philip Billing and Joe Lolley for example – and instead preferred to play it safe with older, more established players. What is more, not only is the development of youth players important to Town in a financial sense, it is also important as it gives fans something to get excited about and a real sense of optimism for the future. This lack of youth development, coupled with Powell’s overwhelmingly negative tactics, were a direct factor in Town’s dwindling attendances, and ultimately the board’s decision to part company with Powell after 14 months in the job. With attendances in decline and levels of apathy among supporters on the increase, it was vital that Town’s next managerial appointment was one which would reignite interest levels among supporters and give them a reason to be excited about the club’s future. 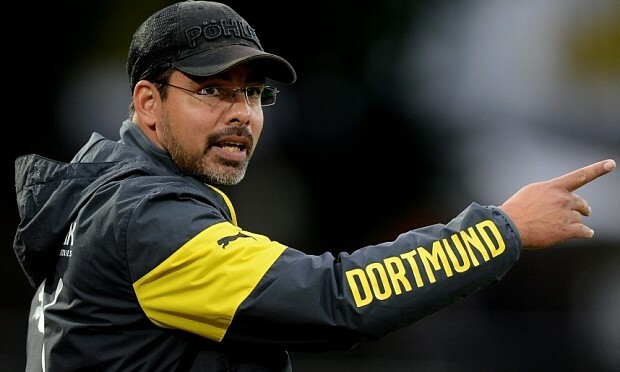 With this in mind, I think the appointment of David Wagner, Jurgen Klopp’s former assistant at Borussia Dortmund, is something of a masterstroke from Dean Hoyle and the board. Not only is Wagner a disciple of Jurgen Klopp’s exhilarating, pressing-orientated Dortmund side, he also has vast experience working with youth players. Following his retirement as a player, Wagner worked with Hoffenheim’s U17 and U19 sides, before notably taking over at Borussia Dortmund U23’s. This experience in working with, and developing young players, should hold Wagner in good stead for delivering on Hoyle’s mandate of developing young and exciting players. Of course, it is not an appointment that is entirely risk free. Wagner is likely to have limited knowledge of the Championship, and there is no cast-iron guarantee that he will be able to deliver much more than Powell was able to in terms of results. Nevertheless, it is a calculated risk on the board’s behalf, and it does genuinely feel like Wagner is a good fit for the Yorkshire Club. Even if the results are not vastly different to those under Powell, I fully expect Town to be an altogether different proposition under Wagner. I think that this is ultimately the crux of the issue. People can accept that Town are – generally speaking – a lower mid-table Championship side. What fans cannot accept, however, is the negative manner in which Town would approach games under Powell. 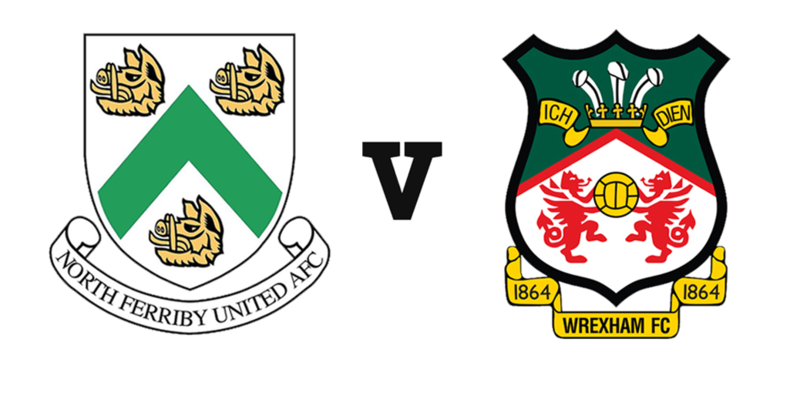 Whereas it seemed Powell often sent his teams out to merely exist on the football field, I feel confident that Wagner will send his teams out to ‘have a go.’ In reality – regardless of results – as long as Town play in the right manner and ‘have a go’ Town fans will be happy. Whether Wagner is a success or not remains to be seen. What is not in doubt, is that Wagner’s appointment has already sparked renewed interest and optimism among Town fans. For this, the board – much maligned for their track record with regards to managerial appointments in the past – deserves some praise for their ambition. Whatever happens, I’m sure it won’t be dull.